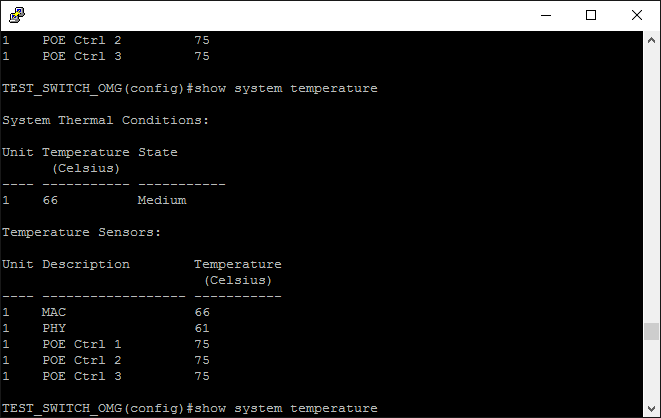 Did some quick thermal/environment testing on the new Dell n1524p today… it survived quite well. The max physical (ambient) temp reached was 150F and the switch continued to operate normally. It did throw a few temp warnings in the logs and flag its status from “good” to “medium” but was not severely hindered. 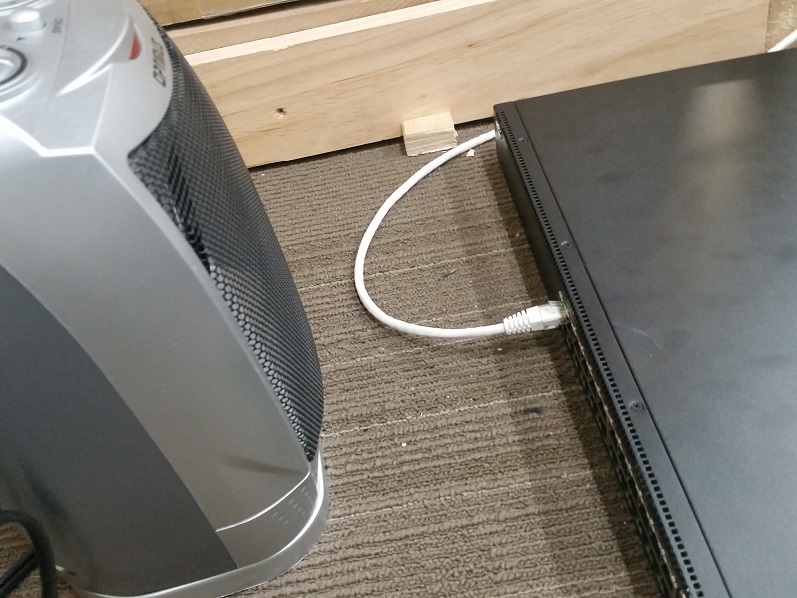 This test was run the old fashioned way, a space heater near the air intake of the switch set to high. The switch took about 20 minutes to come up from 80deg (normal temp) to the max temp of 150 using this method. Why do this test? This switch (and many of the same model) will be placed in a manufacturing facility inside glass front racks mounted near the ceiling. Did I mention the facility does not have any type of A/C system and equipment will be subject to normal NJ summer heat combined with heavy machinery in use? Yeah…. well done little switch!